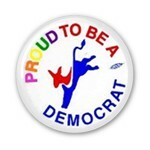 Demstore.com has been serving democratic campaigns and progressive organizations since 1985. 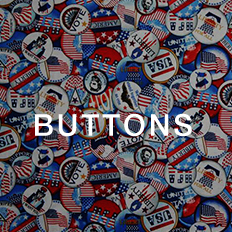 All of our products are Made in the USA with Union labor. 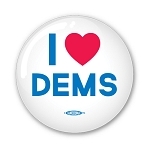 Democratic buttons, bumper stickers and yard signs are available from stock or custom designs. 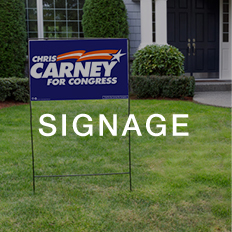 We design artwork and implement your logo across a field of materials; from yard signs and lapel stickers, to t-shirts, buttons and bumper stickers. We pride ourselves on our customer service, unmatched resources, and great diversity of quality products. 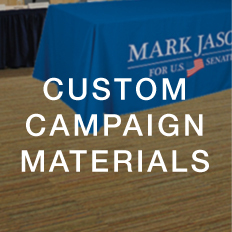 Demstore is your one stop shop for Democratic friendly campaign materials. Be Blue. 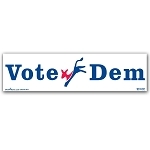 Vote Democrat. Go Dems. 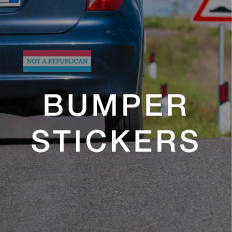 Clinton Kaine #imwiththem- Bumper Sticker - 3" x 11 1/2"
Bernie 2016 BUMPER STICKER 3.7 5" X 7.5"